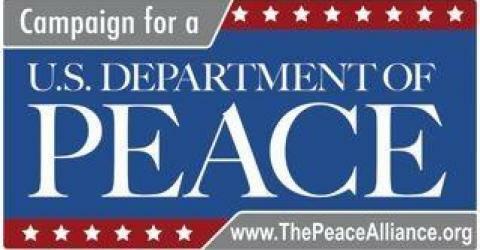 The TRUTH under FIRE: Introducing: The Department of PEACE?!? So what would you say to a prospective branch of government, newly established to ensure peace, prosperity and harmony not only in America, but through the auspices of the United Nations, across our world as well? Sounds like a great idea, doesn’t it? Wouldn’t you endorse such an idea, and encourage others to do so? “Peace, and love and harmony”? How do they propose to inspire these virtues in the hearts of the “citizens of the world”? First of all, there is no acknowledgment on their part, of the rebellious nature of mankind, the unruly heart of the human will that has been developed as a result of sin being introduced into the human race. Such a lethal force, sin, that it inspired Cain to slay his brother Abel! We've had war, and turmoil ever since. Humans can’t know peace with other humans until they first have peace within their own hearts, and such peace can’t exist until they have laid down their rebellion towards God, and acquire peace with God, through the LORD Jesus Christ, and His atonement which alone achieves the propitiatory requirement which a Holy God demands. There is far more to this ‘Department of Peace’ than meets the eye! It will be a government endorsed and enforced means to get everyone to capitulate to a global world religion! As well as this, a means to advocate New Age beliefs in the name of Universalism, and isolate and potentially punish any who would refuse to adhere to such dogma. “Did you know that if you don't believe God is in everyone you are working against world peace? This is what many who are promoting HR808 in the U.S. House of Representatives believe. And thus far, 288 House members have expressed approval for a bill that would create a U.S. Department of Peace!" Williamson, Barbara Marx Hubbard, and others on this peace train, insist that this will "heal the soul of America." Here is a small sample of what Williamson believes. In the Course of Miracles she says, "The journey to the cross should be the last useless journey … Do not make the pathetic error of clinging to the old rugged cross." “Walter Kronkite makes stunning statements about war and peace; he says that in spite of terrorism and war, hope is on the way! That would be the U.S. Department of Peace! He lauds the fact that soon there will be no automatic weapons, violence in schools, etc. We could show the world that "peace is our profession." All U.S. consulates could fly the American flag and the peace flag. Such foolishness, and that is what the Bible calls it! "For when they shall say peace and safety, then sudden destruction comes upon them, as travail upon a woman with child; and they shall not escape" (1 THESS 5:3). These people totally ignore man's sinful nature. They believe that forming a committee or a Cabinet position will bring about nirvana. They mock the Prince of Peace and would never bring Him into their peace negotiations and discussions. They are convinced that all the world will be well once this Department of Peace is up and running! The Bible says of the antichrist, "By peace he shall destroy many" (DANIEL 8:25). Is this paving the way? Right now in Washington DC, a group of New Age lobbyists are working diligently to get the government to establish what they are calling the U.S. Department of Peace. The chief lobbying organization--The Peace Alliance--was founded by New Age leaders Marianne Williamson and Neale Donald Walsch. In essence, the Department of Peace, should it become a reality, will be a means to enforce New Age based Hate Crime Legislation! Are you beginning to feel marginalized yet? Their idea of true peace is one of mere uniformity coerced upon people by Federal and International law, regardless of their own volition's or convictions, rather than a unity of heart established willingly by the Prince of Peace towards all participants of God’s kingdom! “With the increased voice and influence that Oprah Winfrey will most likely gain because of the new president-elect, it seems inevitable that the Department of Peace will come into place. Lighthouse Trails believes this governmental body will dovetail at some point with Rick Warren's global P.E.A.C.E. Plan. We can say this with the utmost confidence because of Warren's efforts to bring about what he calls a three-legged stool reformation where government, business (economy), and religion will come together to solve the world's major problems. In addition, because of Obama's support of Warren's P.E.A.C.E. Plan and his support for the $845 billion and the Global Poverty Acts (which is bound to happen now), it's very likely that Warren's peace plan will get a financial shot in the arm from an Obama administration. “But let's take a closer look at the Department of Peace so that when it comes to pass, we will have a better understanding of its significance. “Marianne Williamson's radical transformation from a little known author appearing on The Oprah Winfrey Show in 1992 to best-selling author, "spiritual leader," and co-founder of The Global Renaissance Alliance has been remarkable to say the least. As already noted, Winfrey's enthusiastic public endorsement of Williamson's book, A Return to Love: Reflections on the Principles of A Course in Miracles, made Williamson, her book, and the Course instantly famous. Williamson’s subsequent book, Healing the Soul of America, has now brought Williamson and her "new gospel" message into the political arena. The combined message of these two books is that we, the people, can heal the soul of America and the soul of the world if we "return to love" by accepting the [New Age] "new gospel" along with its A Course in Miracles-based principles. Because of the popularity of her books and her continued favored status in the media, Williamson has fast become the unofficial ambassador for the [New Age] "new gospel Christ." “After the events of September 11, 2001, Williamson became one of the "experts" the media called upon to provide support to the nation and to make suggestions about how we should spiritually respond to these disastrous events. With everyone's heightened concern about terrorism and the general state of the world, Williamson and other "new gospel" activists are introducing spiritual strategies for America's future. Suddenly, "spiritual politics" is center stage as the "Christ" of the "new gospel" brings his updated spiritual teachings into everyone's living room--whether people know it or not. “Desirous of establishing a single, unified organization to help create peace, Marianne Williamson joined with Conversations with God author Neale Donald Walsch to co-found The Global Renaissance Alliance. Alliance members include a veritable "who's who" of best selling "new age" authors and powerful "new gospel" advocates such as Barbara Marx Hubbard, Gary Zukav, James Redfield, Deepak Chopra, Wayne Dyer and many others. “The Global Renaissance Alliance describes itself as a "citizen-based network of spiritual activists" whose "mission is to make a stand in our local and national communities for the role of spiritual principle in solving the problems of the world. "1 The unspecified "spiritual principle" is the "new gospel" notion that we are all "one" because we are all a part of "God." Beyond the appearances of history, there is a great and glorious unfolding plan for the destiny of nations. According to the mystical traditions, God carries this plan within His mind (Note: ‘A plan from the mind of God’? Another term being used today by Robert Schuller, Rick Warren, Brian McLaren and many other supposed ‘Christian leaders’ is “God’s Dream”), seeking always, in every way, channels for its furtherance. His plan for the evolution n of humanity, and the preparation of teachers to guide it, is called within the esoteric traditions the Great Work. The significance of Williamson, Walsch, Hubbard and other very influential "new gospel" advocates choosing to demonstrate their unity and oneness at this time through their global association cannot be overstated. The amount of networking and mutual support among Alliance members is widespread as they continue to join together in increasingly powerful ways to put their "new gospel" agenda before an anxious world that is searching for spiritual answers. Furthering their common cause, Walsch has written the introduction to Hubbard's last two books, Conscious Evolution and Emergence. Hubbard, in turn, recommends Walsch's and Williamson's books in her writings. Williamson does the same with Walsch and Hubbard. The three of them, in their mutual support of each other, provide a strong nucleus for the Alliance's high-powered network of [New Age] "new gospel" advocates, many of whom have bestsellers and followings of their own. While Scripture instructs believers to pray for those in authority, it also exhorts us to warn the church of grievous wolves and false doctrines, and to defend the precious faith. Because so many Christian figures are leading countless people toward the new Age/New Spirituality, we are compelled to continue our warnings. We know that salvation comes only to those who accept Jesus Christ as Lord and Savior through faith by His grace - it is this Gospel message we seek to preserve in such dark and trying times. Thus, while the United States and the rest of the world move closer and closer toward a false one world system and a false Christ, we will continue speaking the truth in love and boldness, exposing areas of darkness for the sake of the saints and the hopeful salvation of many lost souls. But thanks be to God, which giveth us the victory through our Lord Jesus Christ. Therefore, my beloved brethren, be ye steadfast, unmovable, always abounding in the work of the Lord, forasmuch as ye know that your labour is not in vain in the Lord. 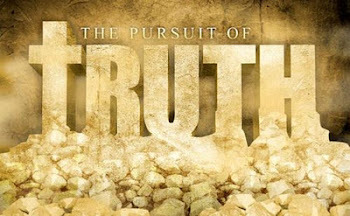 What we as Christians must consider is that nothing that is transpiring today has been unforeseen in the pages of scripture; the very concepts of a world religion opposed to the Truth of God’s Word, of a latter day church that has turned away from ‘the faith’ that is, the embodiment of doctrine and spiritual truth as found in the Holy Bible; a one world government and a tremendous opposition and persecution against God’s people, and a unilateral allegiance for the New Age/New Thought paradigm that will inevitably lead to support for and worship of Satan and his one world leader, the Beast of Revelation. It’s unfortunate today that prophecy, and especially eschatology (the prophetic study of ‘last things’) is marginalized, discounted, downplayed, even ignored (and by many Emergent Leaders today that tell us – particularly in regards to the LORD Jesus’ physical return to this world, it’s “none of our business”!) by so much of the church and its leaders. It seems that Christians today are more interested in ‘Our Best Life Now’, and how to prosper financially, how to be a ‘happy Christian’ and have a better family. It’s my deepest fear that the church today is going to be blindsided by this enormous wave of spiritual bigotry against the Holy Bible and those of us who cherish it, and this of course will inevitably lead to the persecution of the faithful followers of Jesus Christ. Is the church here in America aware, and prepared for what’s about to be unleashed? After speaking with many dear saints about this, it would seem that about 80% have no idea of what’s going on either by not being informed or being intentionally ignorant (the ‘ostrich head in the sand’ effect). If we don’t wake up NOW from the spiritual slumber and apathy which so many appear to be caught up in within most of today’s churches, it will not bode well to say the least. 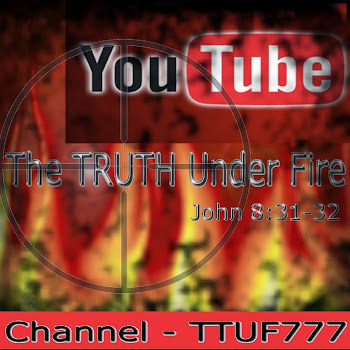 Now more than ever, the TRUTH is UNDER FIRE, and though we may endure many hardships, trials, persecution, etc. the TRUTH of GOD’s WORD and those who stand firmly upon it will prevail!